This versatile table sign holder can be used as a single or double-sided display and is perfect for table menu cards, point-of-purchase signs, pricing, product details, or general information and accommodates 5"W x 3"H printed material. 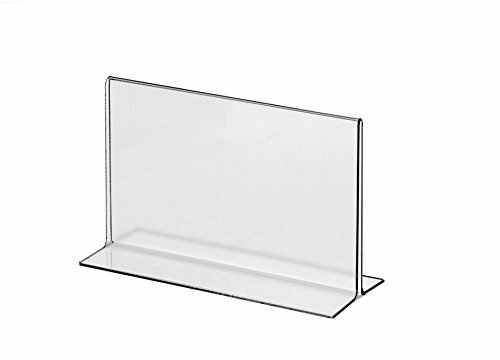 Crafted from durable clear acrylic, the sign holder presents a clear view of signage while the t-shaped base provides stability and bottom-loading access for quick and easy sign change-out. Freestanding and portable, place the tabletop sign holder on virtually any flat surface in business lobbies, restaurants, hotels, trade show booths and more.